Find free classifieds for Administrative job, clerical job, support jobs for sale or to buy in West Bengal. FREEADS in India offers you a platform to post free advertisements or classifieds for Administrative job, clerical job, support jobs, West Bengal. FREEADS in India helps you search, find, buy, sell, rent or hire in various categories like apartments, goods for sale, local services, cars , jobs and many more in West Bengal. Shown below are ads available in Administrative job, clerical job, support jobs, West Bengal. You can use search box above to refine your search. Office Administrator Job Duties: •	Communicates with relevant agencies to produce travel itineraries for business directors and employee events •	Arranges meetings by scheduling appropriate meeting times, booking rooms, and planning refreshments •	Manages correspondence by answering emails and. Scholarslearning is provides to be best collages in search to be our site. There are a best classroom and labs of physics and chemistry in Top State Board Schools in Central-Delhi. 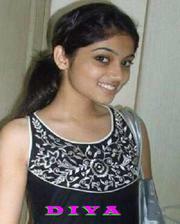 It can be give a better top level exam in Delhi -NCR and other information check go to on our site. There are a choose to top schools to search on http://schools. Top state board schools in Dwarka is collect to the syllabus in search on our site. There are a provide the good syllabus and good teachers in our schools. It is top level provide study and available good teacher here. It has well established better facility and brought future for all students here. There is other information check go to on http://schools. Require Fresher Female as R.O., P.R., R.M. Require Fresher Female as R.O., P.R., R.M. Age: 18 .Edu:H.S, H.S , Apply only Fresher / Expert Female. Salary:6300 - 9000 Bonus. Contact - Moumita Chakraborty- 7278229937, 7278229938. Email: evergreen.datainfo@gmail.com. Receptionist JOB for Fresher / Expert Female at Baguiati. Receptionist JOB for Fresher / Expert Female at Baguiati. Apply Fresher / Expert Female, Age: 18+, Edu: H.S., / BA, BSC, BCA, BCOM / 10+2+3. Salary: 3000 - 9000+Bonus. Designation: Receptionist, R.Ex, R.O., R.M. 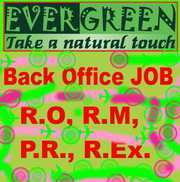 Contact - Diya Sarkar- 7278553871 or Send CV with Photo evergreen.datainfo@gmail. VACANCY AVAILABLE FOR SUPERVISOR MINIMUM QUALIFICATION H.S WITH 5 YEARS EXPERIENCE IN SAME POSITION.CANDIDATES MAY SEND CV OR CONTACT 7602284152. We have a wide variety of different email addresses and Mobile numbers of different corporate houses and others to choose from which are 99% accurate. Our website offers reviews and advice on the most popular email address services. Each service offers different features. Visit: www.unitechdatabase.in Email: unitechdatabase@gmail. Offer from Unitech Info SMS, GET 1 Lakh Bulk SMS OR EMAIL Just 10Ps/sms With UNLIMITED VALIDITY, Plus UNLIMITED SENDER Ids, Supports: Web Application Desktop Software Excel Plug ins. Visit: http://sms.stylecomputech.in Email: stylecomputech@gmail.com Posted ID- UISBN777778P..
R.HALDAR(48), B.COM./DIPLOMA IN COMPUTER SEEKING COMPUTER TYPING JOB. CALL MR. R.HALDAR (24182203) rajatindrani@yahoo.com. Admin & Operations Manpower required for Asansol Chapter A new concept….. 24x7 Emergency Services is commencing their operations at Asansol by February 2012 after starting their operations at Durgapur. Competent manpower for the following departments are invited to apply with their latest Resume [CV] & Photo at the earliest. Job involves worldwide travel. No prior experience required, only general reading and writing skills. Must be female, age 18 to 30. A dream job for anyone who wants to travel around the world at no expense..
India ads for Administrative job, clerical job, support jobs, West Bengal, Administrative job, clerical job, support jobs free ads West Bengal, Administrative job, clerical job, support jobs for sale West Bengal, Administrative job, clerical job, support jobs to buy in West Bengal. This page is a classified ads listing for Administrative job, clerical job, support jobs West Bengal. This listing includes classifieds for sale and to buy in West Bengal. If you posted an advertisement on Administrative job, clerical job, support jobs, West Bengal before please use Edit my ads button to change or cancel your ad. Administrative job, clerical job, support jobs West Bengal ads West Bengal, Administrative job, clerical job, support jobs classifieds West Bengal, Administrative job, clerical job, support jobs free ads West Bengal, ads for sale West Bengal, ads to buy West Bengal, FREEADS in India. Find here ads for sale, to buy and rent in West Bengal. Goods for sale in West Bengal, vehicles for sale in West Bengal, West Bengal real estate for sale, West Bengal property for sale, property for rent in West Bengal, business ads in West Bengal, West Bengal business classifieds, services in West Bengal, West Bengal services ads, jobs in West Bengal, pets for sale in West Bengal, West Bengal dating, West Bengal cars for sale.